The fourth-gen Kia K5, also known as Kia Optima, arrived in early 2015 and will receive a facelift this year. 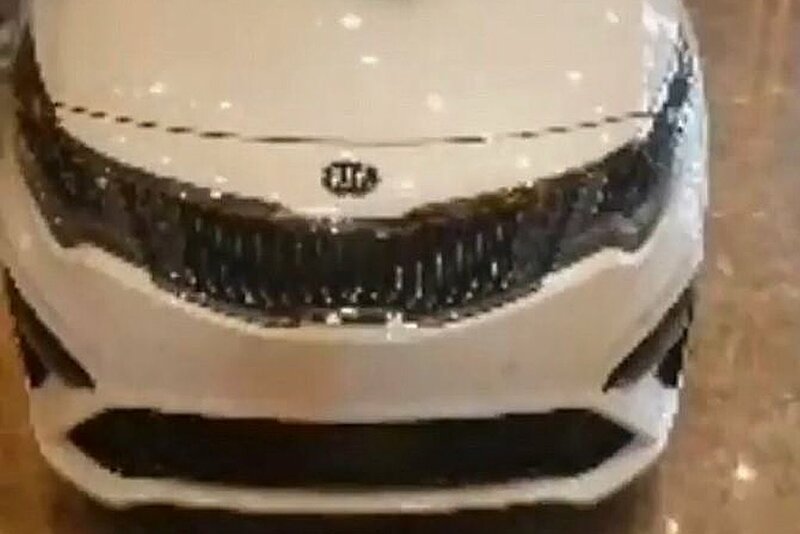 Recent images posted on South Korean forums have leaked the 2019 Kia Optima (2018 Kia K5)’s exterior. 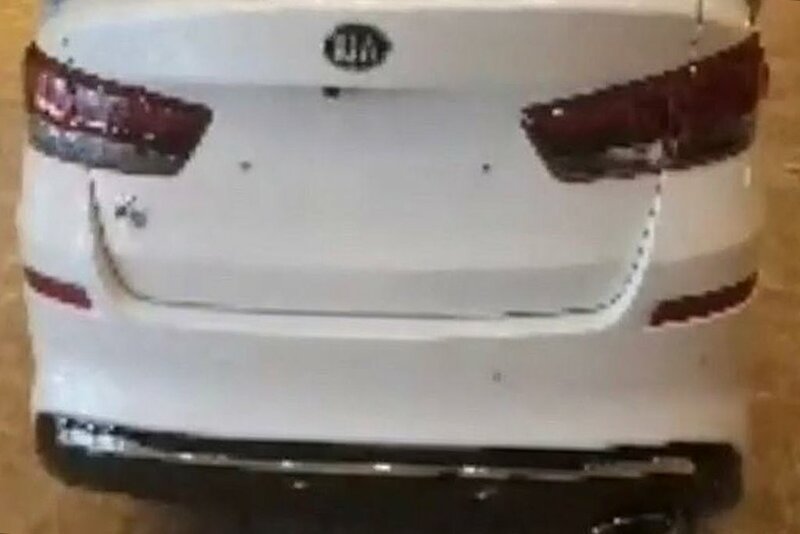 The facelifted Kia Optima (facelifted Kia K5) may not have dual design variants. The fourth-gen Kia Optima arrived with an evolutionary design and Kia apparently aims to keep it that way with the facelift. The 2019 Kia Optima features a new tiger-nose grille with concave vertical slats like on the latest Kia Cadenza (Kia K7), restyled bumper and reshaped lower grille and air vents. At the rear, save for the repositioned reflectors and the chrome garnish on the bumper, changes are a little difficult to identify from the image. Kia offers the pre-facelift Optima (K5) in two slightly different design variants called SX and MX. The MX variant has an elegant front fascia, while the SX variant has a sporty appeal. The facelifted model won’t have such differentiation, suggests a report from Top Rider. The current Kia Optima is available with 178 hp (180.54 PS) 1.6-litre T-GDi, 154 PS/157 PS 2.0-litre MPi, 168 PS 2.0-litre CVVL, 245 PS 2.0-litre T-GDI, 171 PS/178 PS 2.0-litre MPi and 188 PS 2.4-litre GDi petrol, 153 PS 2.0-litre LPG-petrol and 141 PS 1.7-litre CRDi diesel engines. Kia offers a plug-in hybrid variant as well. Transmission choices include 6-speed manual, 6-speed automatic and 7-speed dual-clutch automatic. With the mid-cycle refresh, the mid-size sedan is expected to receive an 8-speed automatic transmission. Kia is expected to introduce an 8-speed automatic transmission in the Kia Optima with the mid-life update. The facelifted Kia K5 should reach the South Korean showrooms later this year, followed by overseas markets a couple months later.